Amla extract standardised to Tannins by USSRP method. Amla extract We offer 30% Tannins, upto 40% Tannins. We are instrumental in manufacturing, exporting and supplying optimum quality Dry Emblica Officinalis. We provide Emblica Officinalis, which is rich in vitamin C. This green fresh fruit is refrigerant, diuretic & laxative and also effective for carminative and stomachic. The dry fruit is sour and astringent in taste that prevents early greying of hair and cure hair fall. The company brings forth the best quality Emblica Officinalis (Amla) Extract which contains up to 40% Tannins. 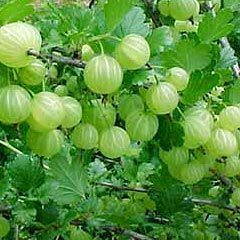 Amla Extract is widely used as herbal medicine to cure inflammation, cancer, age-related renal disease and diabetes. Use Fruits are used for making pickles. Fruits are useful in vitiated conditions of tridosha, diabetes, and cough. Amla known as scientically is Emblica Officinalis. Its a House of Vitamin C and contains approx 20 times more vitamin C than Orange. Its used in various ayurvedic medicine. - Parts used: Fresh and dried fruits, the nut leaves, root bark and flowers. - Constituents: Fruit are rich in vitamin 'C' and pectin. fruit is edible and an oil is extracted. Action: Fresh fruit is refrigerant, diuretic, laxative, carminative and stomachic. Dried fruit is sour and astringent. flowers are coolig and aperient. bark is astringent.